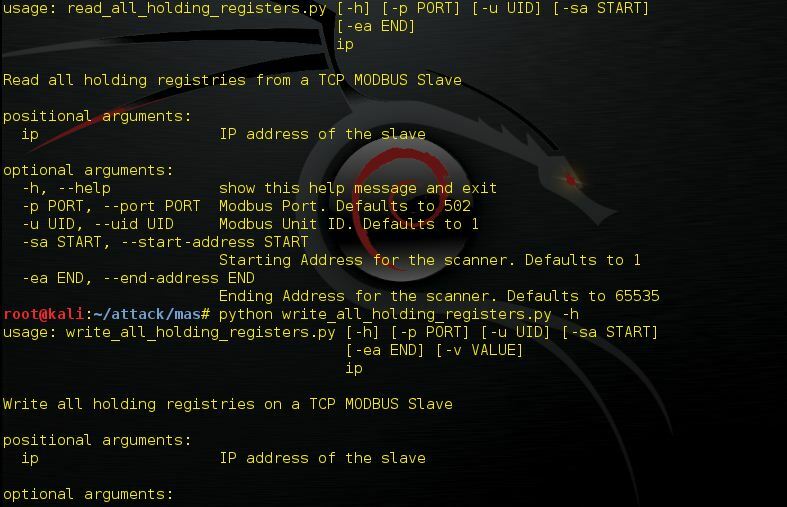 Browse: Home / MAS – Modbus Attack Scripts. – read_all_holding_registers.py: Read all holding registers from a TCP MODBUS Slave. – write_all_holding_registers.py: Write all holding registries on a TCP MODBUS Slave. + Pymodbus is a full Modbus protocol implementation using twisted for its asynchronous communications core. print "ERROR: No target to scan\n\n"
print "ERROR: IP address is invalid\n\n"
print "ERROR: No target given\n\n"
← venom.sh v1.0.12 – Codename : redteam_dev.